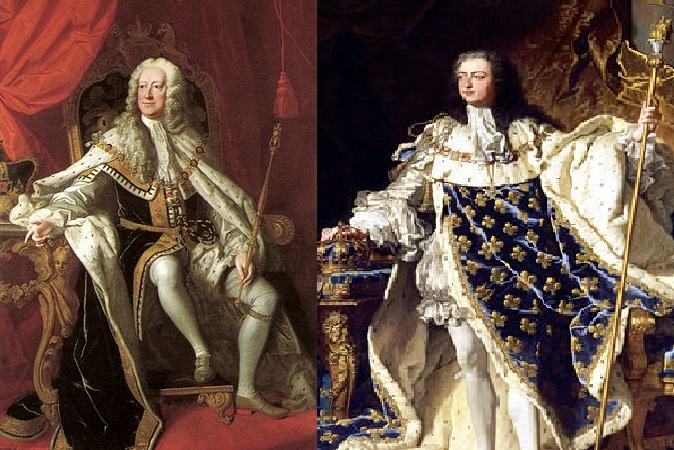 In the decades prior to the Revolutionary War, tensions arose between the two largest global powers: BRITAIN, led by King George II, and FRANCE, led by King Louis XV. 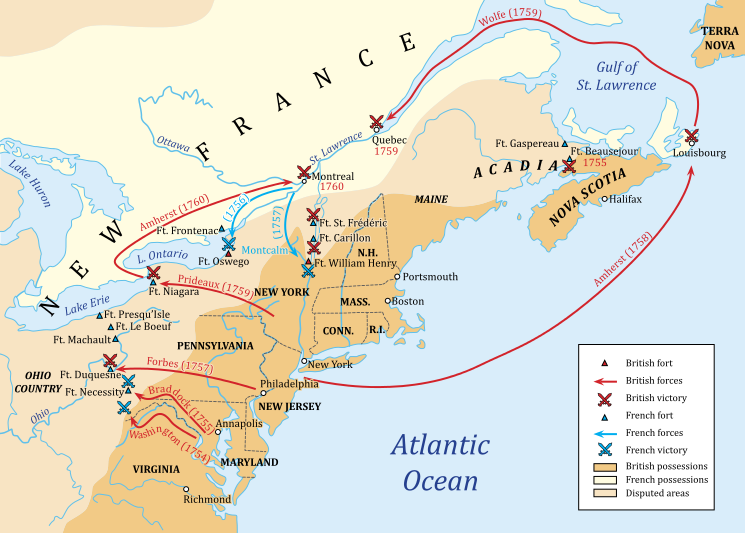 Because of their alliances with other nations, fighting escalated into the first global war -- the Seven Years War, or as it was called in America, the French and Indian War. 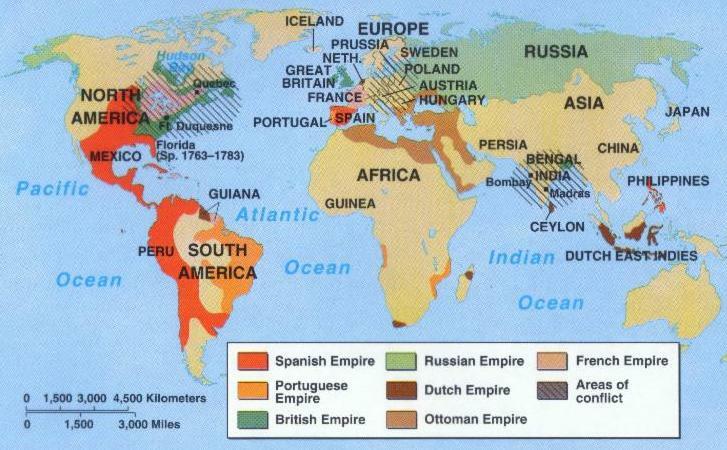 The conflict included every major power in Europe as well as their colonies from the Caribbean, to India, to the Philippines, and to Africa. 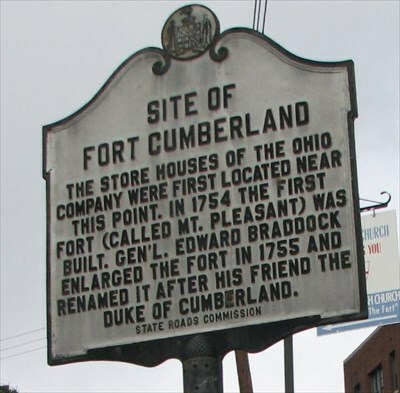 It was sparked by the ambush in 1754 of a French detachment in the Ohio Valley by British militia led by 22-year-old Virginia Colonel George Washington. During this crisis, people turned to Christ. 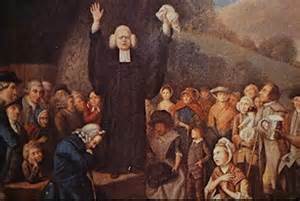 The Great Awakening Revival swept through the American colonies. 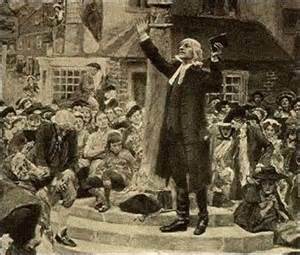 A notable dissenting preacher, Samuel Davies, spread revival across racial lines and was heard by many in Virginia, including Patrick Henry, who credited Davies with "teaching me what an orator should be." Rev. Davies regularly invited hundreds of slaves to his home for a Bible study on Saturday evenings, their only free time, and taught them hymns and how to read. Realizing the importance of education, Davies helped found Princeton University, and was chosen its president after Jonathan Edward's sudden death. 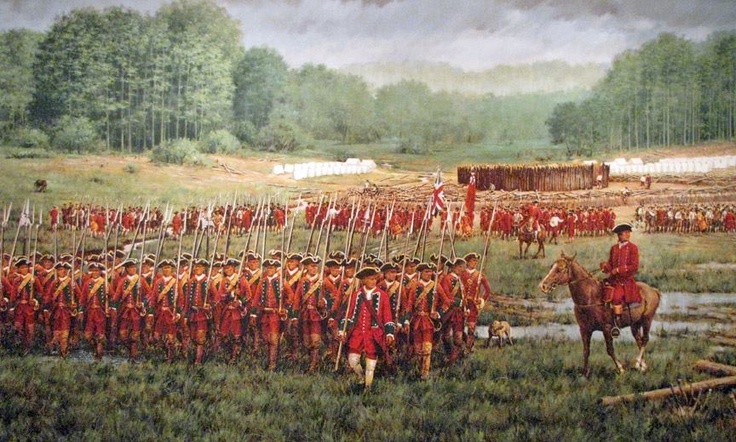 In 1755, 1,400 British troops marched over the Appalachian Mountains to seize French Fort Duquesne, near present day Pittsburgh. 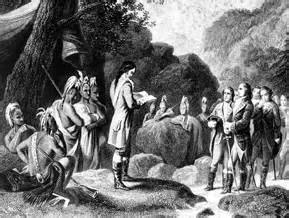 One of the wagon drivers was 21-year-old Daniel Boone. 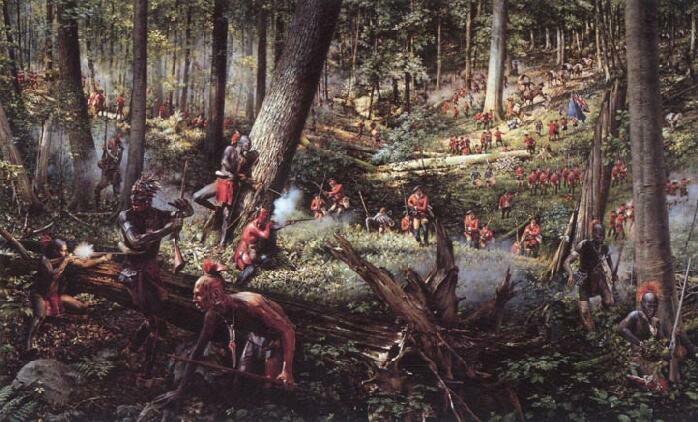 On July 9, 1755, they passed through a deep wooded ravine along the Monongahela River eight miles south of the fort. 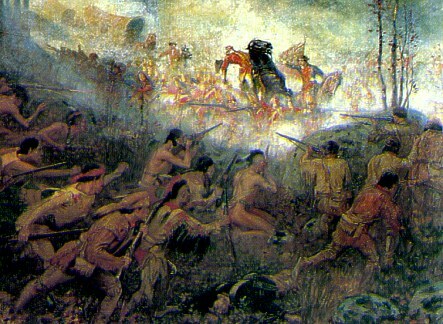 Suddenly, they were ambushed by French regulars and Canadians accompanied by Potawatomi and Ottawa Indians. 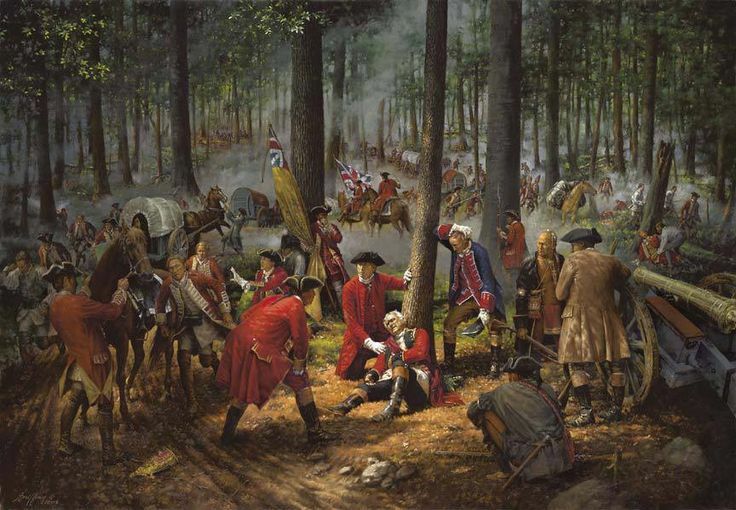 Not accustomed to fighting unless in an open field, over 900 British soldiers were annihilated in the Battle of the Wilderness, or Battle of Monongahela. 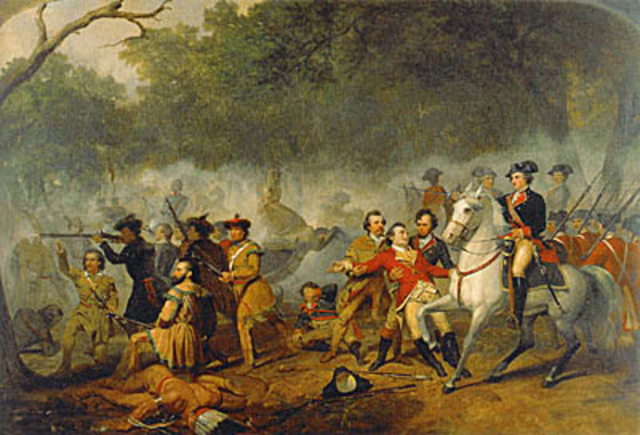 Colonel George Washington rode back and forth during the battle delivering orders for General Edward Braddock, the Commander-in-Chief of British forces in America. 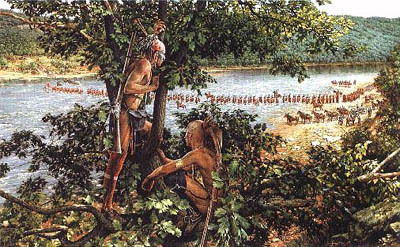 General Braddock was trying to get his soldiers into a formation typical of European warfare, which tragically made them an open target for the French and Indians who were firing from behind trees. 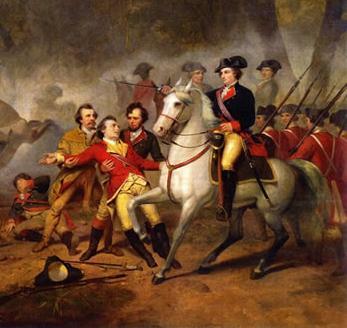 Eventually, every officer on horseback was shot, except Washington. 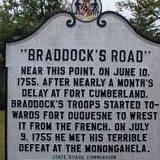 General Braddock was mortally wounded. Washington carried Braddock from the field. 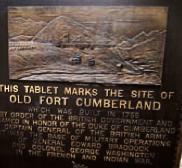 Braddock's field desk was captured, revealing all the British military plans, enabling the French to surprise and defeat British forces in succeeding battles at Fort Oswego, Fort William Henry, Fort Duquesne, and Fort Carillon (Ticonderoga). 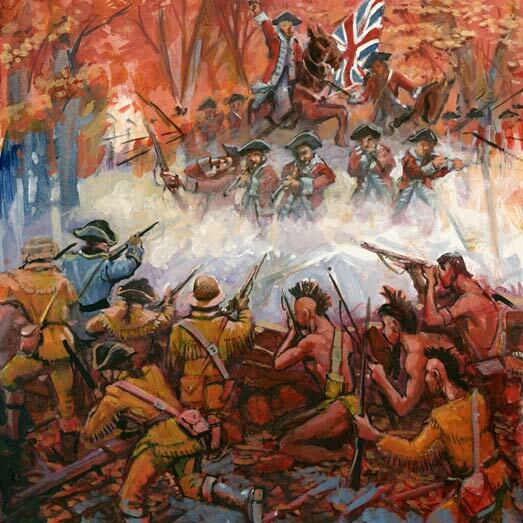 The terrible British losses convinced the Iroquois tribes of Senecas and Cayugas to switch their allegiances to the French. 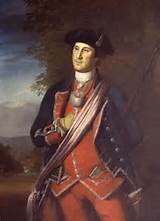 Before he died, General Braddock gave Washington his battle uniform sash, which Washington reportedly carried with him the rest of his life, even while Commander-in-Chief and President. 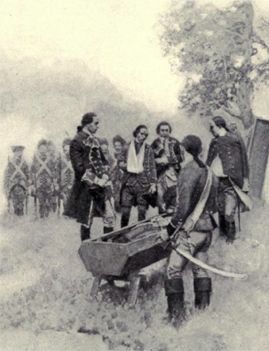 Washington presided at the burial service for General Braddock, as the chaplain was wounded. Braddock's body was buried in the middle of the road so as to prevent it from being found and desecrated. "As I have heard, since my arrival at this place, a circumstantial account of my death and dying speech, I take this early opportunity of contradicting the first, and of assuring you, that I have not as yet composed the latter. 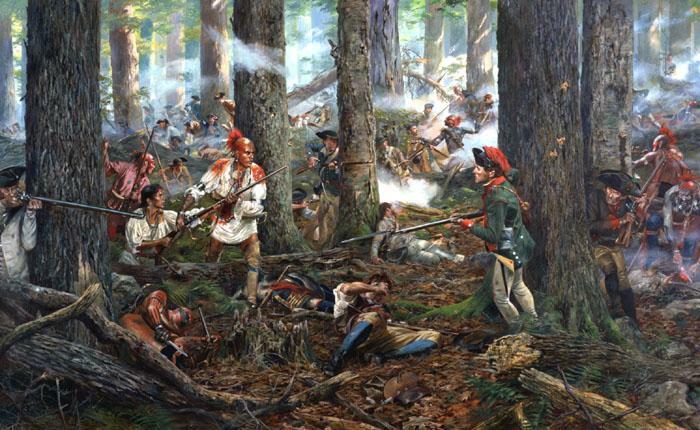 But by the All-Powerful Dispensations of Providence, I have been protected beyond all human probability or expectation; for I had four bullets through my coat, and two horses shot under me, yet escaped unhurt, although death was leveling my companions on every side of me!" 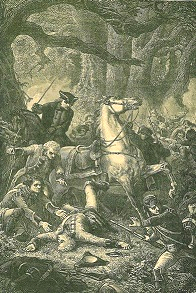 Reports of the defeat of General Braddock at the Battle of Monongahela spread across the country. 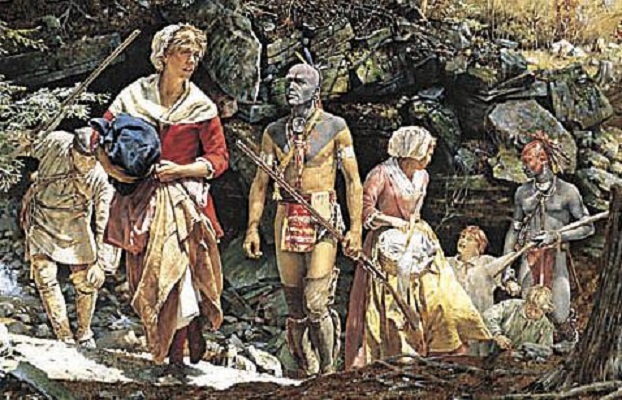 On July 8, 1755, a band of Shawnee Indians massacred the inhabitants of Draper's Meadow, Virginia. 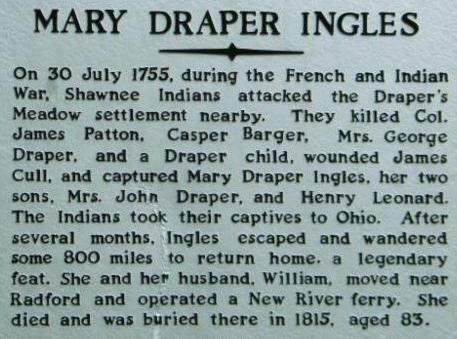 Mary Draper Ingles was kidnapped and taken as far away as Kentucky and Ohio. 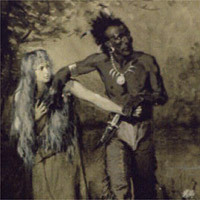 At one point during her captivity, she overheard a meeting that the Shawnee had with some Frenchmen. 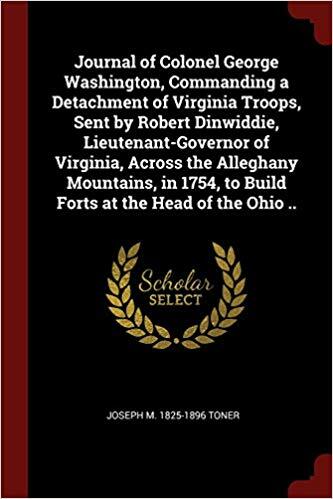 They described in detail the British defeat in the Battle of Monongahela at Duquesne, and how the Indian Chief Red Hawk claimed to have shot Washington eleven times, but did not succeed in killing him. After several months, Mary Draper Ingles escaped in mid-winter, as recorded in her biography, and trekked nearly 1,000 miles back home. 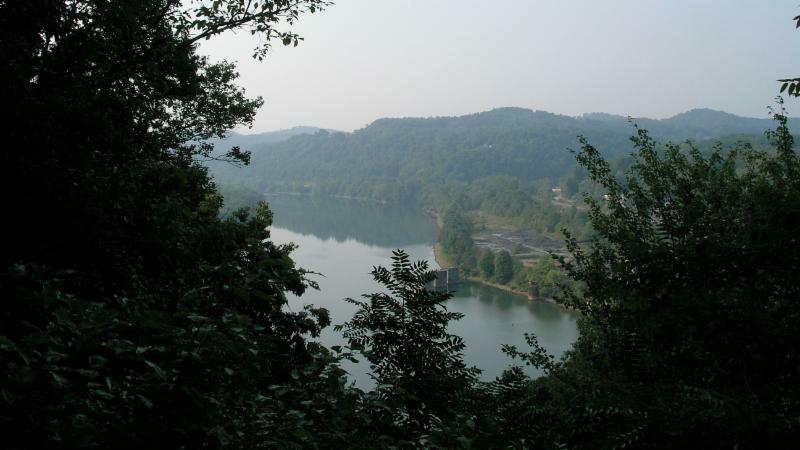 Fifteen years after the Battle of Monongahela, George Washingto n and Dr. Craik, a close friend of his from his youth, were traveling through those same woods near the Ohio river and Great Kanawha river. "I am a chief and ruler over my tribes. My influence extends to the waters of the great lakes and to the far blue mountains. I have traveled a long and weary path that I might see the young warrior of the great battle. It was on the day when the white man's blood mixed with the streams of our forests that I first beheld this Chief. ... Quick, let your aim be certain, and he dies. Our rifles were leveled, rifles which, but for you, knew not how to miss -- `twas all in vain, a power mightier far than we, shielded you. Seeing you were under the special guardianship of the Great Spirit, we immediately ceased to fire at you. ... Listen! The Great Spirit protects that man and guides his destinies -- he will become the chief of nations, and a people yet unborn will hail him as the founder of a mighty empire. I am come to pay homage to the man who is the particular favorite of Heaven, and who can never die in battle." "Washington was never born to be killed by a bullet! 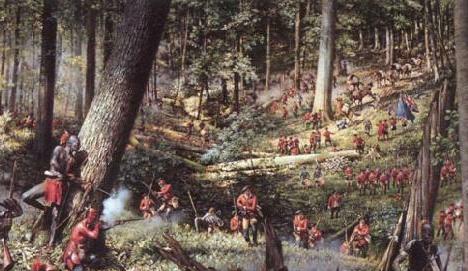 I had seventeen fair fires at him with my rifle and after all could not bring him to the ground!" 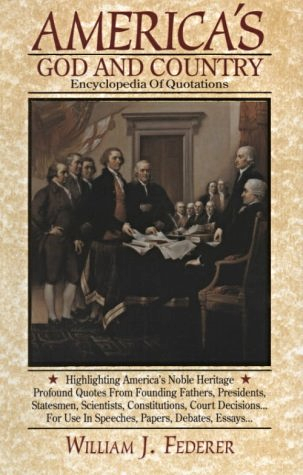 The qualities of faith, virtue and discipline were evident during this early period of George Washington's public career, as seen in his actions and correspondence. "I have always, so far as was in my power, endeavored to discourage gambling in camp, and always shall while I have the honor to preside there." while I have, on the other hand, practised every artifice to inspire a laudable emulation in the officers for the service of their country, and to encourage the soldiers in the unerring exercise of their duty." 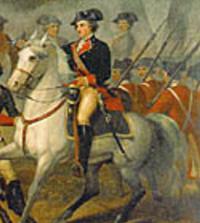 "Colonel Washington has observed that the men of regiment are very profane and reprobate. He takes this opportunity to inform them of his great displeasure at such practices, and assures them, that, if they do not leave them off, they shall be severely punished. The officers are desired, if they hear any man swear, or make use of an oath or execration, to order the offender twenty-five lashes immediately, without a court-martial. For the second offense, he will be more severely punished." "Any soldier found drunk shall receive one hundred lashes without benefit of court-martial." 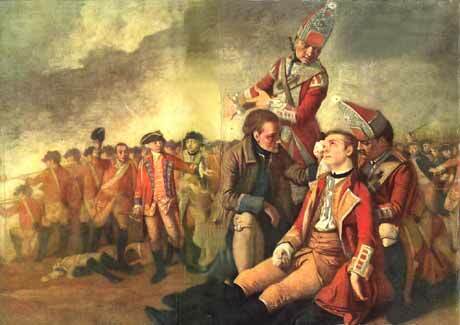 otherwise we must have fallen a sacrifice through the indiscretion of these whooping, hallooing, gentlemen soldiers." "The want of a chaplain, I humbly conceive, reflects dishonor on the regiment, as all other officers are allowed. The gentlemen of the corps are sensible of this, and propose to support one at their private expense. But I think it would have a more graceful appearance were he appointed as others are." 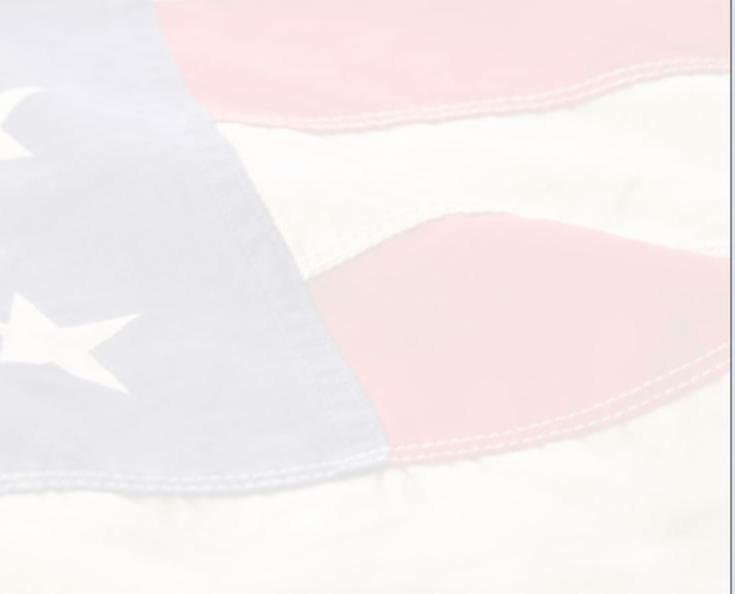 "As to a chaplain, if the government will grant a subsistence, we can readily get a person of merit to accept the place, without giving the commissary any trouble on the point." "When I spoke of a chaplain, it was in answer to yours. 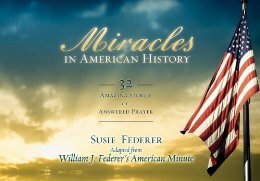 I had no person in view, though many have offered; and I only said if the country would provide subsistence, we could procure a chaplain, without thinking there was offense in expression." 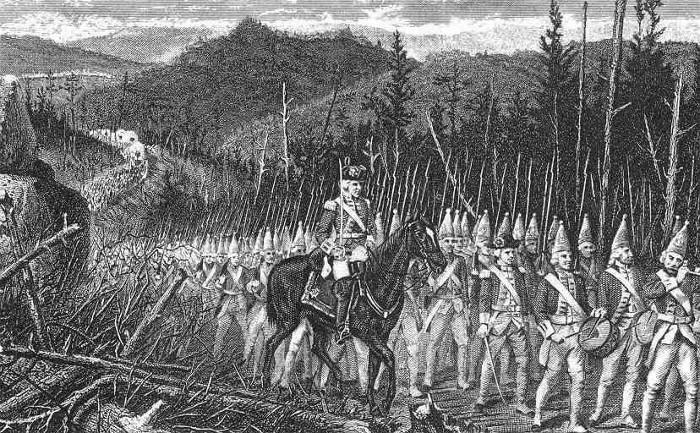 "The last Assembly, in their Supply Bill, provided for a chaplain to our regiment. 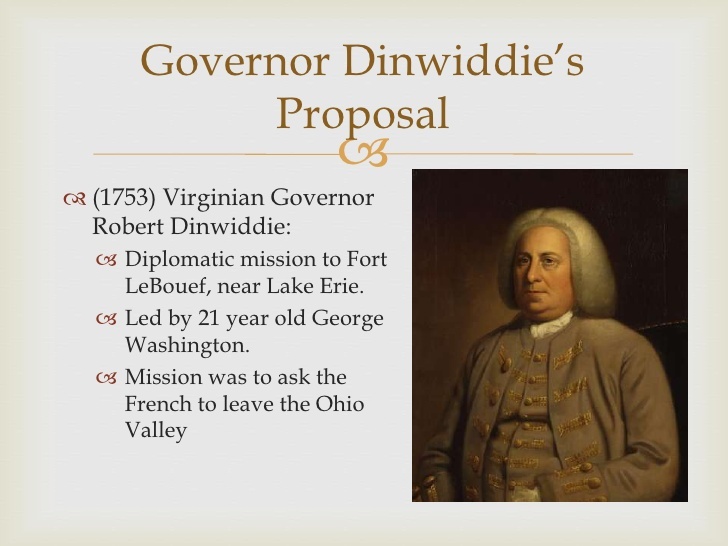 On this subject I had often without any success applied to Governor Dinwiddie. I now flatter myself, that your honor will be pleased to appoint a sober, serious man for this duty. Common decency, Sir, in a camp calls for the services of a divine, which ought not to be dispensed with, although the world should be so uncharitable as to think us void of religion, and incapable of good instructions." "We have begun our march for the Ohio. A courier is starting for Williamsburg, and I embrace the opportunity to send a few lines to one whose life is now inseparable from mine. Since that happy hour when we made our pledges to each other, my thoughts have been continually going to you as to another Self. That an All-Powerful Providence may keep us both in safety is the prayer of your ever faithful and ever affectionate Friend." 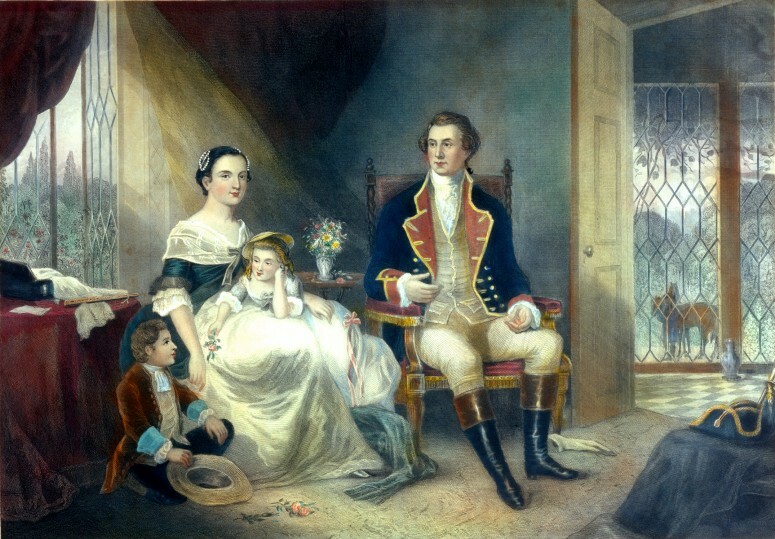 On January 6, 1759, George Washington was married to Martha Dandridge Custis by Rev. David Mossom, rector of Saint Peter's Episcopal Church, New Kent County, Virginia. 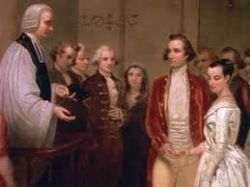 After having settled at Mount Vernon, George Washington became one of the twelve vestrymen in the Truro Parish, which included the Pohick Church, the Falls Church, and the Alexandria Church. 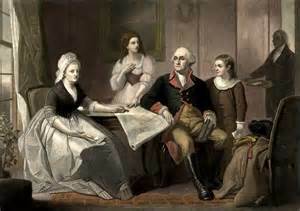 "At a Vestry held for Truro Parish, October 25, 1762, ordered, that George Washington, Esq. be chosen and appointed one of the Vestry-men of this Parish, in the room of William Peake, Gent. Deceased." 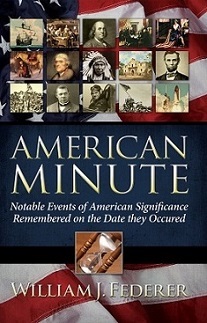 In his diary, George Washington recorded his attendance at numerous Church and Vestry meetings. "George Washington, Esq. took the oath according to Law, repeated and subscribed the Test and subscribed to the Doctrine and Discipline of the Church of England in order to qualify him to act as a Vestryman of Truro Parish."